So, following the first update, here we move on to the second. 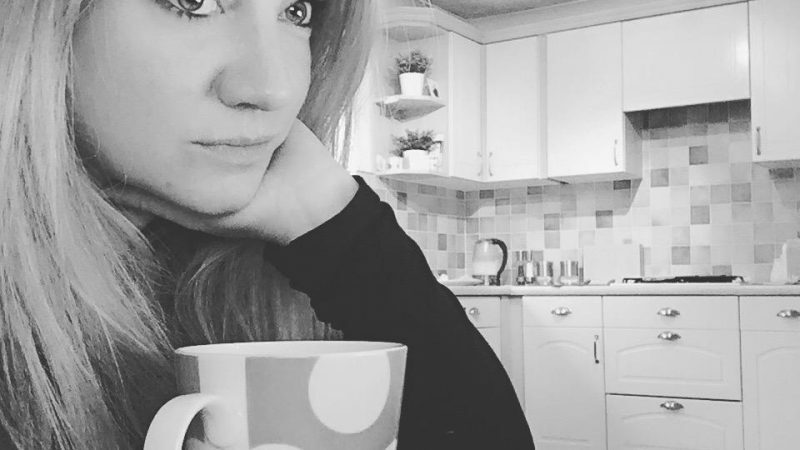 After returning from holiday and on seeing the kitchen for the first time after a whole two weeks away, I must admit, it was a bit of a shock. There were bits that were good and then there were elements that were not quite so good. I suppose things weren’t helped by the fact I was probably a little on the grumpy side to begin with! On the way home from Gatwick we were stuck in traffic for what seemed like hours, the kids were moaning about being hungry and tired, our friends who we went on holiday with, were home an hour before us as they’d taken a different route, and of course I was just generally miserable after returning home from a fabulous time in Greece, knowing full well it would be a long while until I got to relax on a pool bed or by the sea, in the beautiful hot Greek sunshine again! So, when we walked into the house with our suitcases and suntans, pretty much ready for a cup of tea and an early night, the new kitchen space still felt as imposing and dark as it was when it was all boarded up before we left, and what’s more, my ‘snagging’ head kicked in, immediately. The first thing I noticed, (don’t ask me how, as it really is tiny) was a squashed bug in between the two window panes of the new window. Overall though we were happy with what we saw. I suppose in the grand scheme of things there were not as many differences as to the state of how things were when we left, which for some rason shocked me a little. But then we found out there had been a couple of unfortunate setbacks, which kind of delayed things. But these aside, the company we’d chosen to work with were doing all they could to get everything back in place and running as smoothly, effectively and quickly as they could. This clarified to both mikey and myself that we really had chosen well. Which felt good. The old utility doorway had been bricked up and the new one installed instead. It was pretty amazing how there was really no sign left of how it was before. And already, with it in its new location, the utility room felt much more spacious. Strange how just the placement of a door can change things like this. 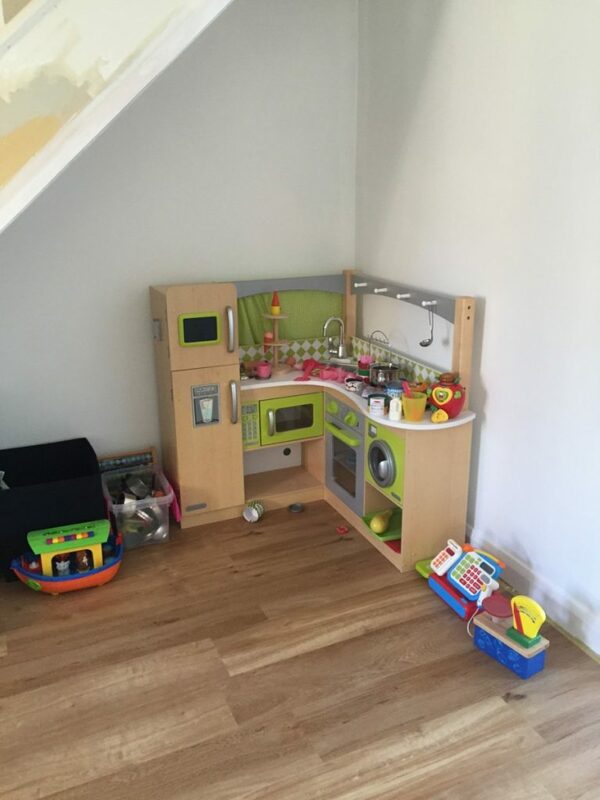 The kitchen units had arrived! They were stacked up in huge cardboard boxes, down in the area that the kitchen would finally be. You can see here we were also making sure we’d chosen the right flooring too. Loved the fact that these samples were actually of a size that you could picture what the room might eventually look like, rather than those postage stamp size samples which generally appear to be the norm. Electricity power cables had gone in, ready for lights and sockets, and the holes were in place in the ceiling ready for the spotlights to go in. Here is the squashed bug window! Right in the centre of this pane of glass is a little bug, wedged in-between both sides of the glass. So obviously this will be changed, and is most certainly on our snagging list. But, bug aside, I am loving the new window. So much more light, and finally I can see outside into my garden. 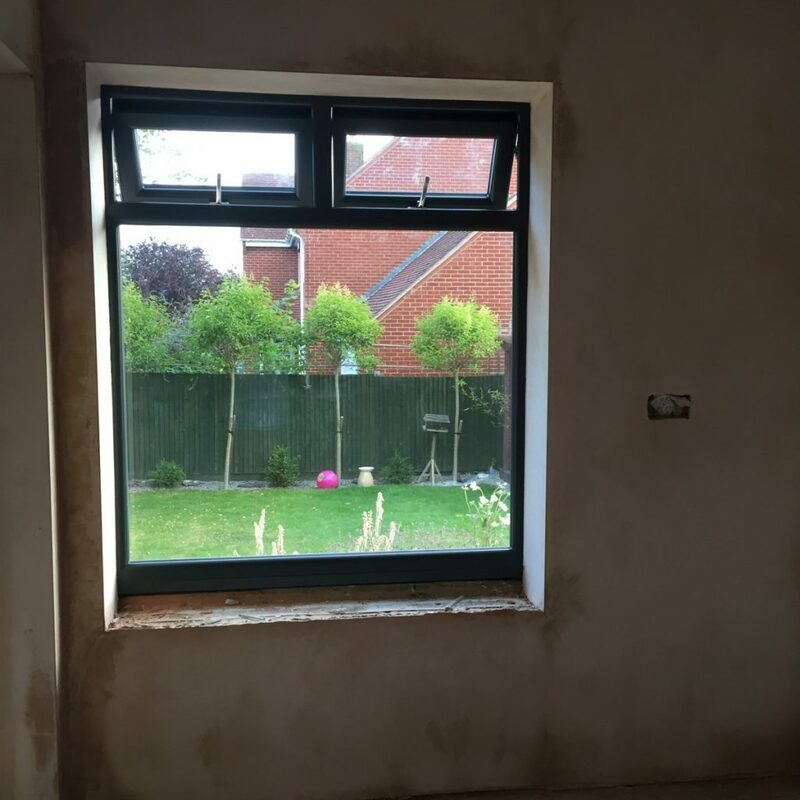 Another view of where the kitchen will be, with the new bi-fold door to the left. Again, this is one of our favourite new additions to the kitchen, as the amount of light it lets through is phenominal. 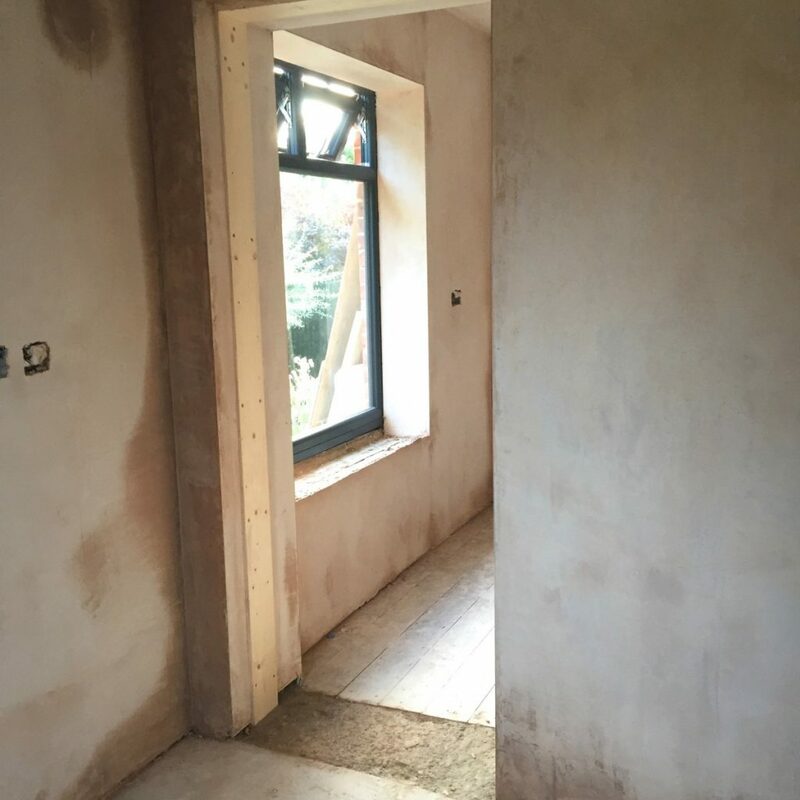 This is the view looking from the rear of the kitchen back through to the hallway and the front door. 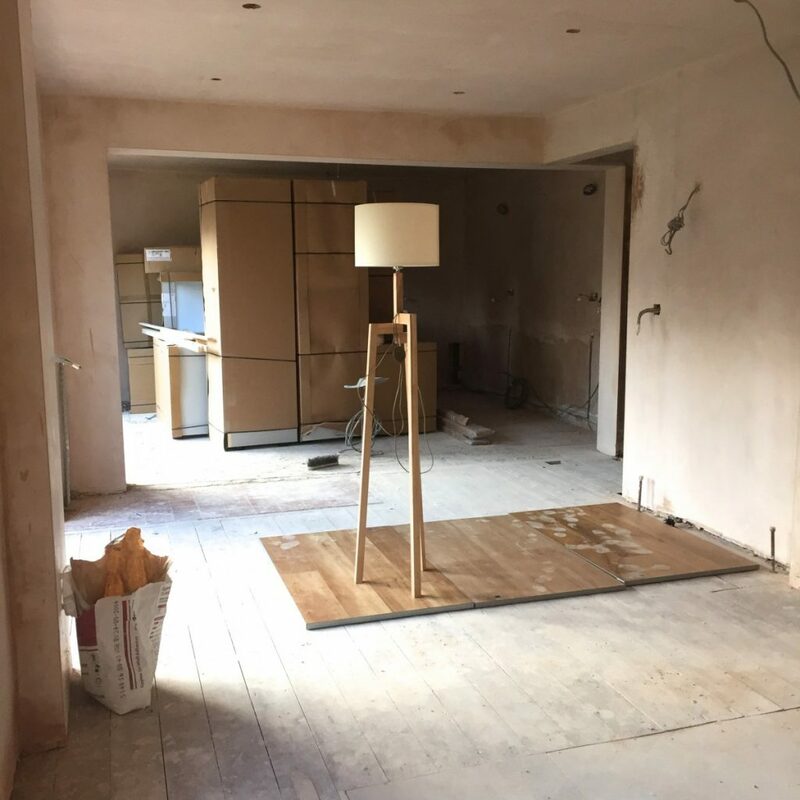 In this picture you can see that the original doorway has gone (it was just to the left of this lamp), and instead we now have a much more workable main thoroughfare which is far better than it used to be. 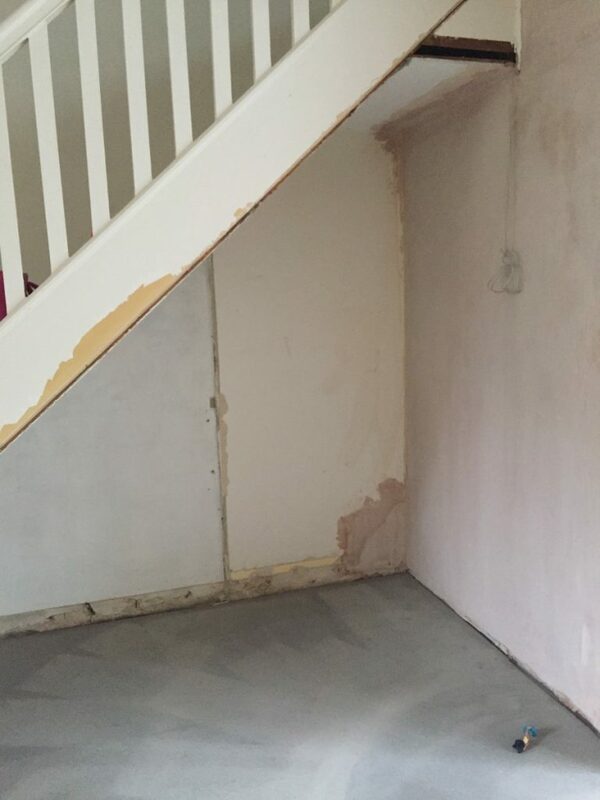 You can also see that the cupboard is still underneath the stairs. The original plan was to then turn the remaining space into a cupboard too, to align with the one already in situ, but on reflection we decided it would be far nicer if we opened up the whole space. So this cupboard is no more! 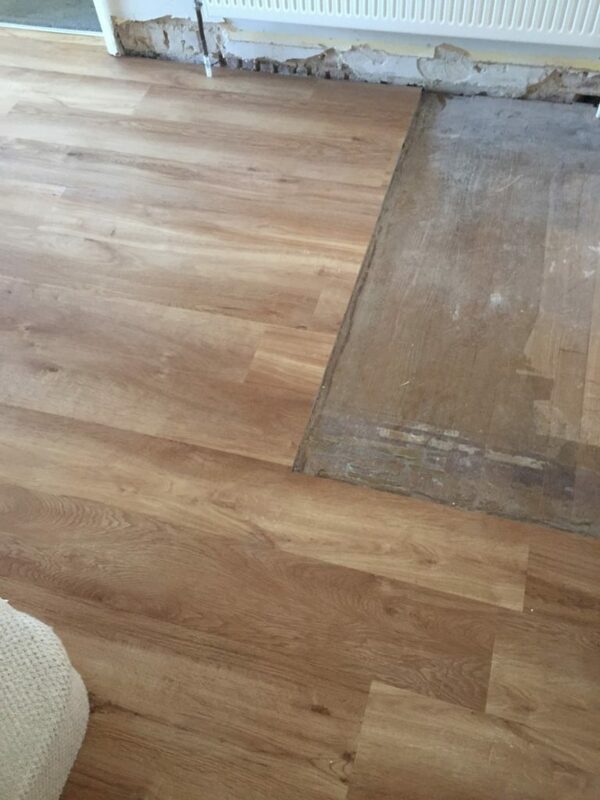 The flooring was unfortunately one of things which delayed our work a little bit. 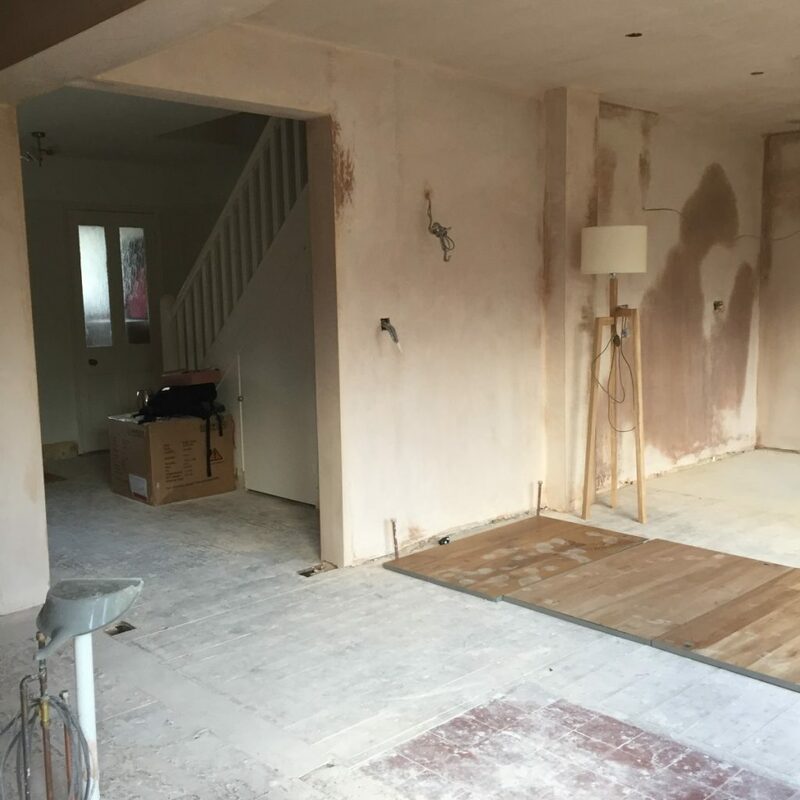 Basically, as you might be able to see in some of the pictures above, once the builders had ripped up the existing flooring, they found that it had been laid over old tiles, uneven boards and just generally too much of an uneven surface to lay a new floor straight onto it. So, this is where the latex came in! 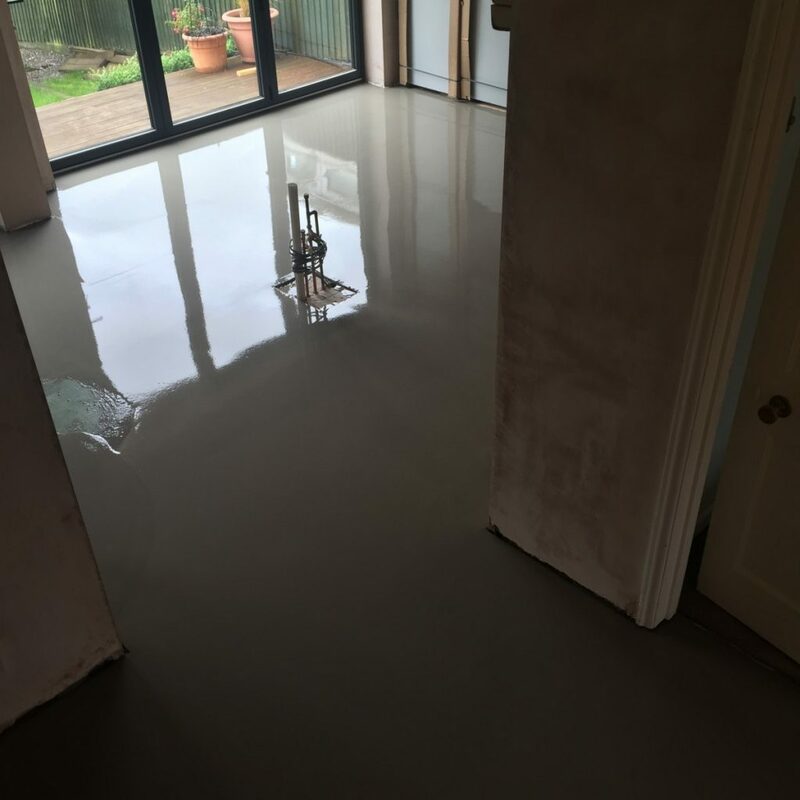 Once the poor flooring guys had chipped away at the old tiles, to try and make the floor as flat as they could, they then covered the entire area in this grey latex screed. At least I think that’s what it was called. It really was quite interesting to watch as it went down, rather therapeutic too, and in the end it looked as though we were in a swimming pool, it was so shiny! More latex. And here you can also see the plumbing in place for the waste pipe and sink unit which are going to be located in the central island. 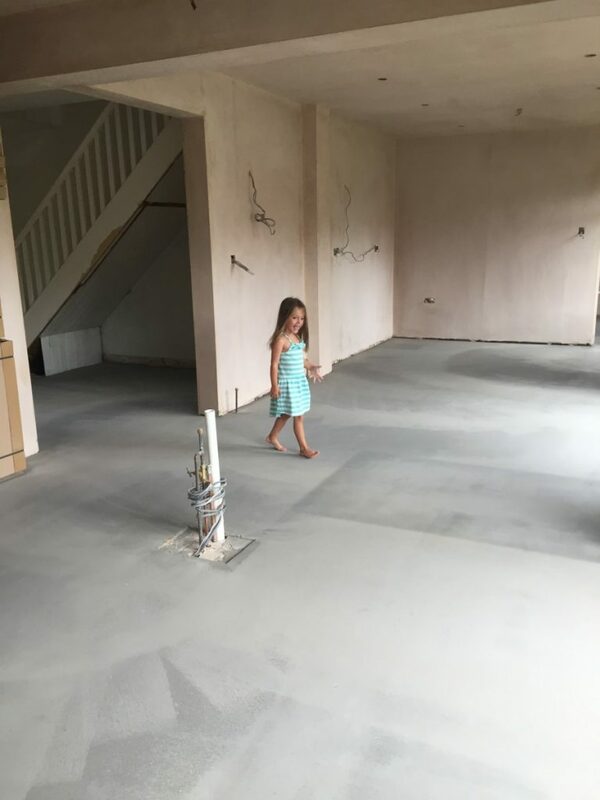 The kids absolutely loved the new space once the floor was all dry. Also, you can see now that the under stairs cupboard has now been removed too. Already feeling so much more spacious. And another view of the under-stairs area. I know it doesn’t look like much, but the difference in just that space is quite brilliant. I cannot wait to find the perfect console table to sit neatly underneath now. 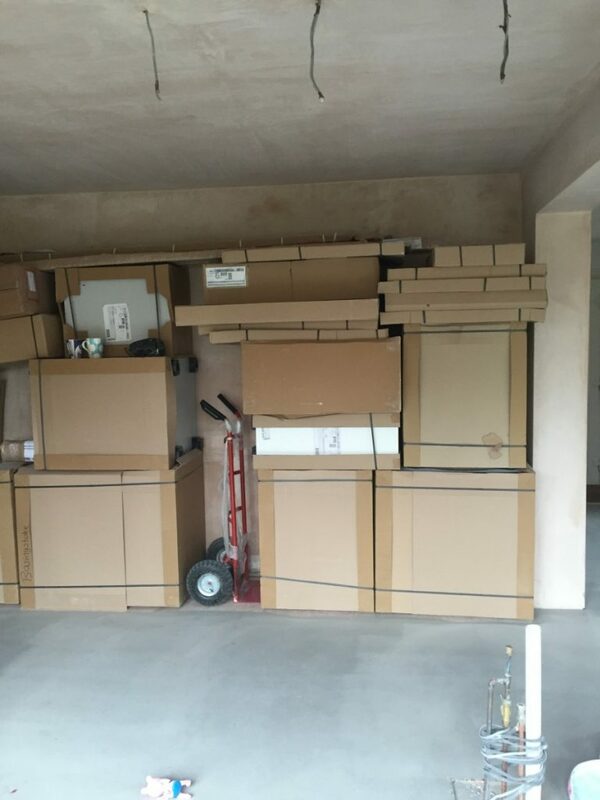 Another view of the kitchen boxes, all ready and waiting to be fitted. And you can see the cables ready for the central pendant lights. 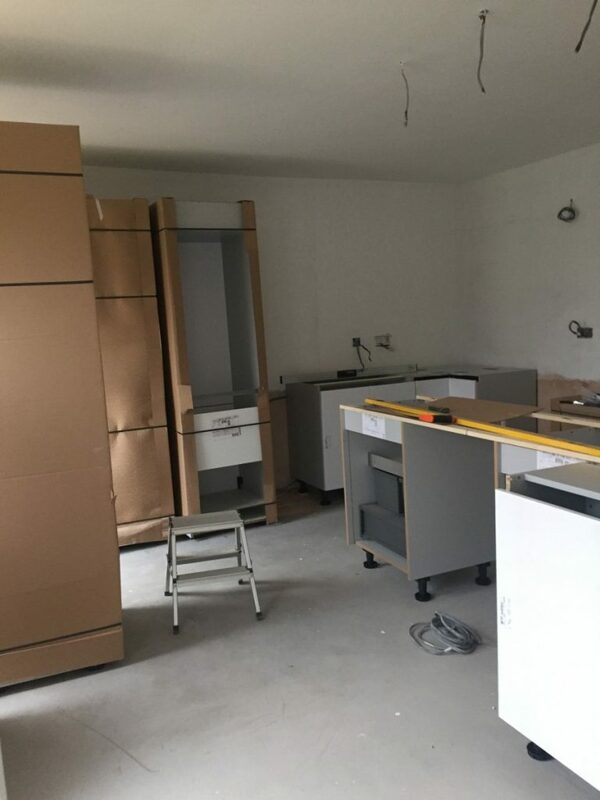 The kitchen is slowly but surely being fitted into place. But here at least the painting and decorating had started too. This was another thing on my snagging list. I had asked for two wall lights, one on each wall, but being new to this whole thing, and obviously pretty naive, I didn’t ask for them to be placed centrally. This is something I assumed would be obvious. One of the many lessons I learnt, don’t assume. 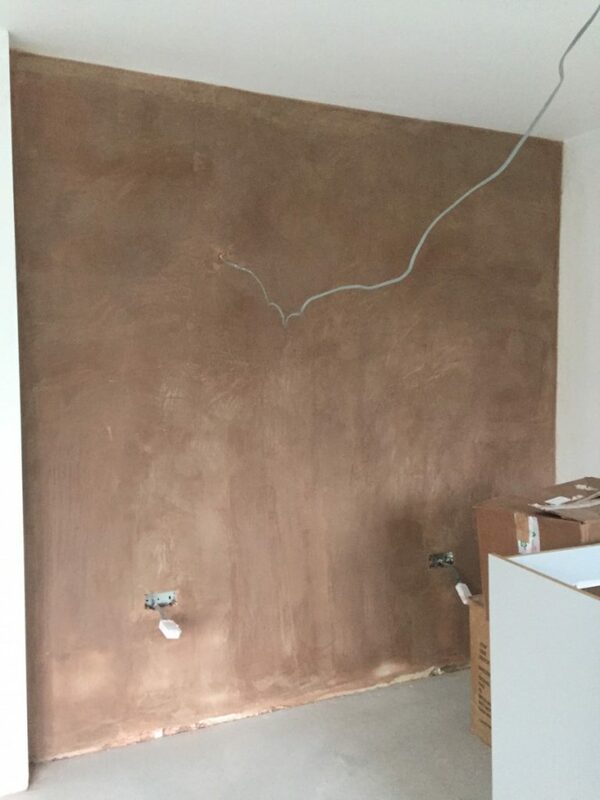 We have now had these changed to be fitted centrally in each wall. And this is flooring going down. It really made such a difference when this was all in place, as it really added a much warmer element to the room. So, after all these weeks, here it is. Here is the final kitchen. Hehehe. Only joking. I just couldn’t resist as this is where we kept the play kitchen for a while and it looked so funny. 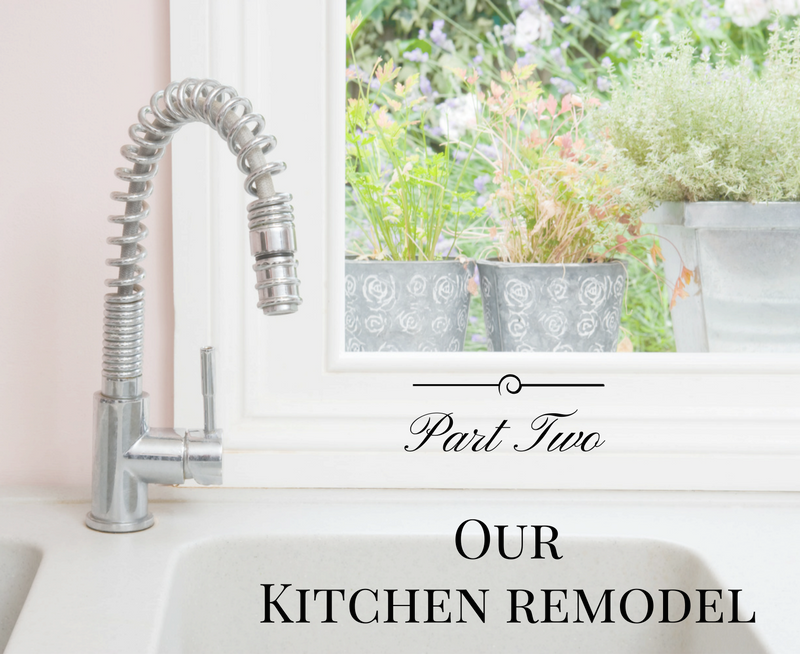 I’ll reveal all on the next kitchen remodel instalment though, and I really hope you come to take a peek. It’s a slow process isn’t it, but we are so very nearly there now. We are so excited! 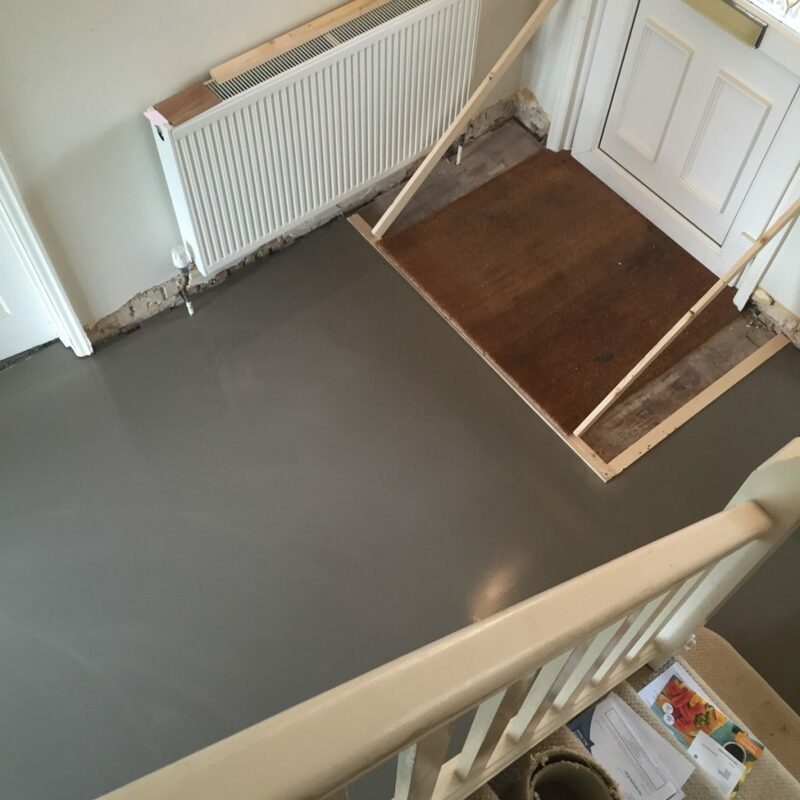 What do you think after seeing this instalment? Have you had similar work done to this? 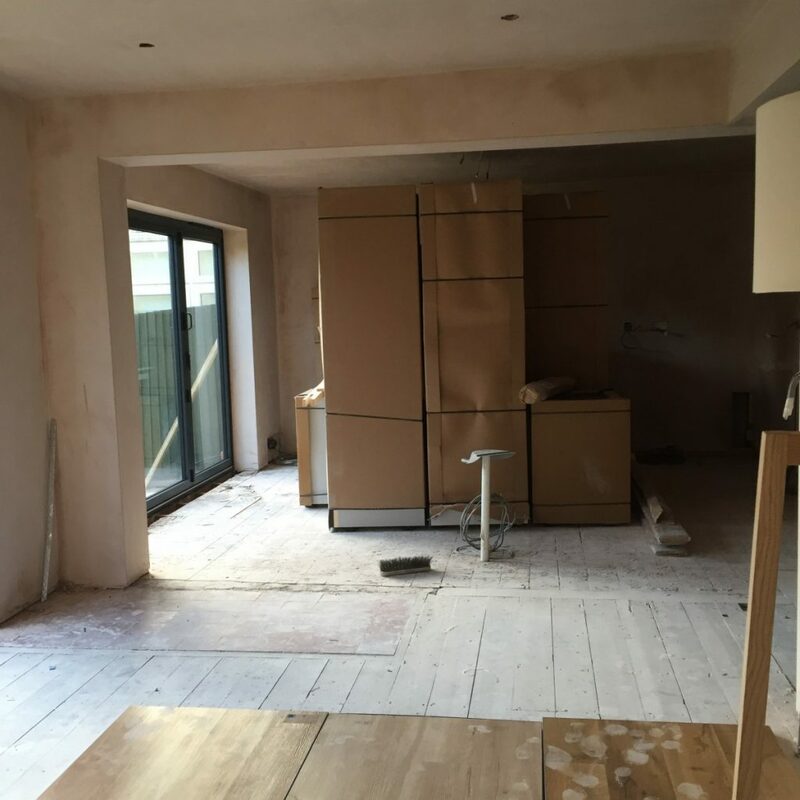 It’s interesting to see it all coming together, we’re at the start of getting a kitchen extension so this will is all to come! Ooh loved this!! I would love to do such a renovation, to choose everything from scratch! Can’t wait to see the end result!! I had a home renovation done about 1+ years ago and it did not go well as I had expected. I am really impressed with your home remodeling. Very nice work. I’m in the process of helping my parents with their new kitchen. So its a lot of helping me. Thank you for your post. Remodeling our kitchen is a good idea. Because if we do this, then we can give new look to our kitchen which gives an awesome impact on others.